Last week in our spotlight on reports, we described how you can quickly add and remove columns as well as adjust the column sorting. This week we will be showing how to quickly sort your report information as well as adding column and group totals. More information has been released on the next user training seminar. Please click on the image below to download a PDF with additional information. When viewing any report, one of the main tools used to analyze the data is sorting. Using the SETUP button in the toolbar at the top of a report, you can access the Report Setup screen. 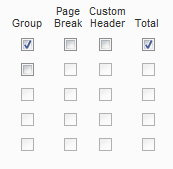 In the lower half of the form, you will see a tab group that defaults to the sort / group tab. 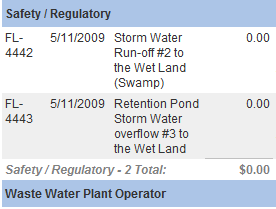 By using the 5 drop down options, you can determine the sort order of the reports. In the example above, the data on the report will first be ordered by the Shop Name and then by the farthest Target Date in the future. Using the Group and Total check boxes will add a Group Band to the report as well as Totaling the group prior to the start of the next group. Tip: When Grouping, it is best to have your groups at the top of the sort list in the order that you want the grouping to occur. For example, you would want to Group By Repair Center, Shop, and then sort by Target date. In the screenshot below it shows Grouped By Shop Name, Sorted By Target Date (Desc), and a total was added to the group by clicking the total check box. Finally, in addition to the totaling option on the group, you can specify which numeric fields you want to total or hide the total. To do this, in the report setup, click on the field you wish to edit and then simply set the Total if Selected option to Yes or No.